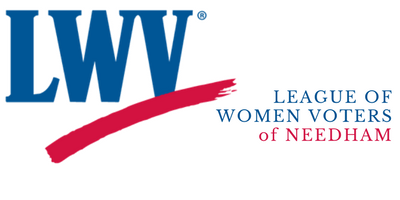 This year the League of Women Voters will host two separate Warrant Meetings in preparation for the 2019 Annual Town Meeting. It is recommended that Town Meeting Members attend both events, and the public is welcome. The first meeting, in conjunction with the Planning Board, will be Thursday, April 25 at 7:30 pm at the Broadmeadow School Performance Center. At this meeting proponents will present information on the five zoning bylaw amendment articles on the warrant. The Planning Board will present an overview and the details of four amendments. The first would add provisions to allow and regulate accessory dwelling units. Three articles concern zoning to allow multi-family housing to be developed at the “Hartney Greymont” property on Chestnut Street near the Needham Junction commuter rail station, first by providing that multi-family housing of four stories, plus a fifth story if recessed or under a pitched roof per design guidelines, may be allowed by special permit in a newly created Transit Oriented Development (“TOD”) Sub-District, then by extending the Chestnut Street Business District and the Lower Chestnut Street Overlay District to include all of this property; finally by designating this property as a TOD Sub-District within the Lower Chestnut Street Overlay District. A fifth zoning bylaw amendment is proposed by citizen petition to add “Self-Storage Facility” to permitted uses by special permit in the Mixed-Use-128 District. A proponent of this article will present it. Each presentation will be followed by a question and answer period moderated by the League of Women Voters. The second meeting will be the traditional precinct Warrant Meetings, on Monday, April 29 at 7:30 pm at the Center at the Heights, 300 Hillside Ave. Meetings will be by precinct, two precincts per room, with subject matter presenters. A League of Women Voters moderator will facilitate discussion and questions. This meeting will focus on the remaining articles. The five zoning articles will be discussed briefly at the end of the meetings if time permits. The goal of both meetings is the same: to give Town Meeting Members and the public an opportunity to understand the warrant articles in advance of Town Meeting through presentation or discussion by subject matter experts and questions from Town Meeting Members. The articles will not be debated at these meetings, and questions will be limited to those seeking information and understanding of the articles. Immediately preceding the Warrant Meetings on April 29, at 6:45, there will be an orientation for new Town Meeting Members with Moderator Michael Fee at the Center at the Heights. Warrant Meetings are open to the public. Town Meeting begins on Monday, May 6. The 2019 Annual Town Meeting Warrant is available for viewing and/or downloading. All Town Meeting Members will receive the Warrant in the mail prior to Town Meeting. The Special Town Meeting Warrant will be posted once finalized. Information relative to 2019 Town Meeting articles will be posted along with the warrants as information becomes available. Sign up here if you would like to be notified when new materials related to Town Meeting are posted to our website.